Many people start out in business with a negative mindset. And while these thoughts are human – we aren’t perfect; growth can be slow; there is a chance of failure – if these mindsets stay rooted within us, then we are unlikely to find success. 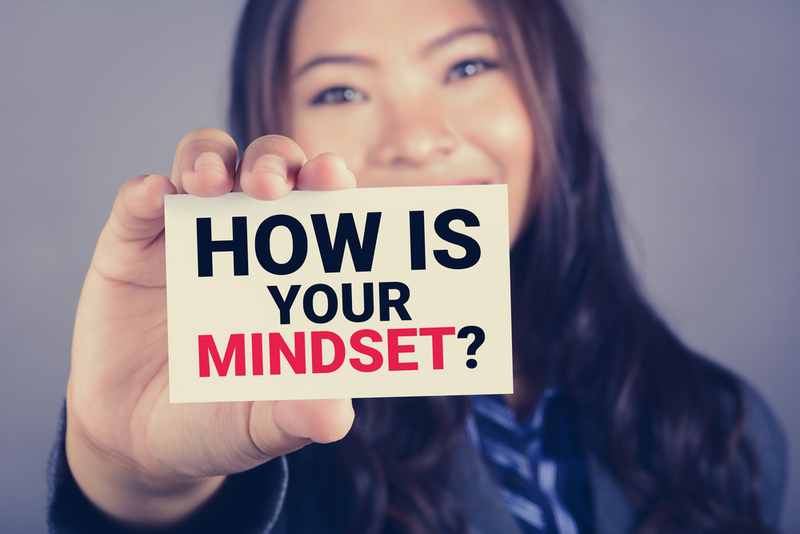 We all have a tendency to think negatively, but these mindsets need to be turned around. Otherwise, we won’t be able to run a business effectively; our businesses won’t grow, and we might actually fail! We need to think positively. And while positive thinking doesn’t always guarantee success, it will still stand us in better stead than that miserable way of thinking that will only limit our chances. So, think on these things. Remember why you wanted to start a business in the first place. Think about the many skills you possess instead of the ones you don’t. Tell yourself “I can do this” as that will give you drive and determination, even when obstacles are put in your way. Sure, you might need to commit to business training. You might need help within your business. But an attitude of ‘can’ will help you to persevere, whereas an attitude of ‘can’t’ might cause you to give up early. Don’t assume your business will never grow. Who’s to say you won’t become the next Mark Zuckerberg or the next Jeff Bezos? Facebook started within the confines of a college dormitory. Amazon was birthed within the confines of a garage. And many other businesses start the same way. They start small, but thanks to the passion and determination of their founders, they are transformed into something hugely popular and massively profitable. Therefore, think big and not small. Consider successful business founders old and new, and research what they did to find success, including the example from this entrepreneur profile. Your business might not grow into a multi-billion conglomerate, but then again it might, or, at the very least, it might become something significantly bigger than what it is now. Don’t start out with a mindset of failure. Yes, businesses fail; there are statistics online to prove it. It’s a reality, but there are ways to improve your chances. Part of this goes back to our previous points. If you tell yourself “I can do this,” you stand a better chance of success. If you look towards growth, you will stand up against the competition. And if you work hard in all areas of your business, from improving your online presence to delivering an excellent product or service, your business will garner an excellent reputation, and that will steer you away from the chances of failure. Therefore, don’t start out assuming your business will be part of those failing statistics. Look at the positives, think about what your business might become in the future, and not what it won’t. Think success and then do all that is needed to make your business dreams a reality. Think about your mindset today. Have you been guilty of negative thinking? If so, turn that thinking around. You are only placing limits on yourself if you don’t, and that will affect your business. So today, tell yourself these things. And by thinking positively, you might turn those thoughts into a reality. We believe you can do it, so you must believe it too!